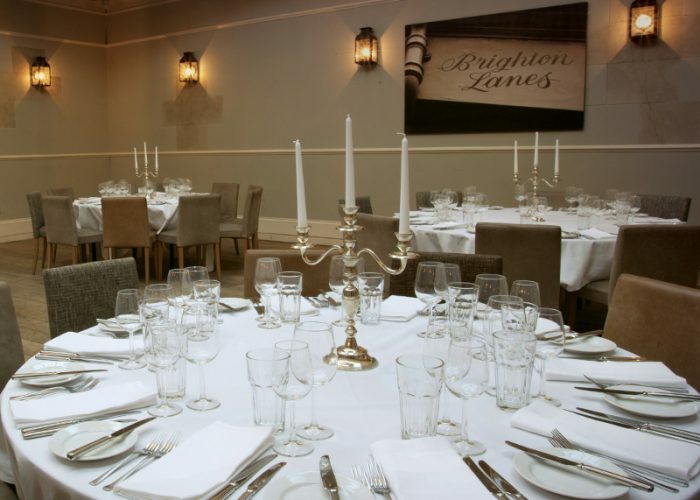 Thank you for your interest in Hotel du Vin & Bistro – Brighton! 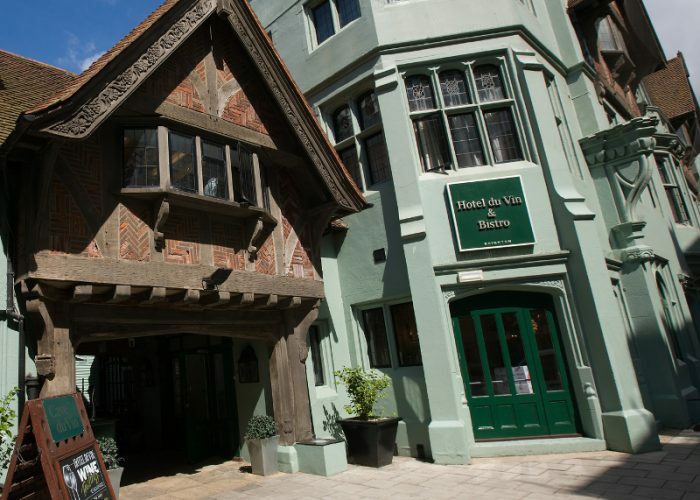 Just a stone’s throw from the promenade, Hotel du Vin Brighton is situated in the Lanes conservation area. Originally built by a wine merchant on the site of an old inn, this collection of eccentric gothic revival and mock Tudor buildings houses 49 bedrooms, a bistro, wine bar, outdoor courtyard, inspiring private rooms and its own pub. The Dome Ballroom has a beautiful glass-panelled domed ceiling with a stunning ‘wineglass’ chandelier centrepiece. 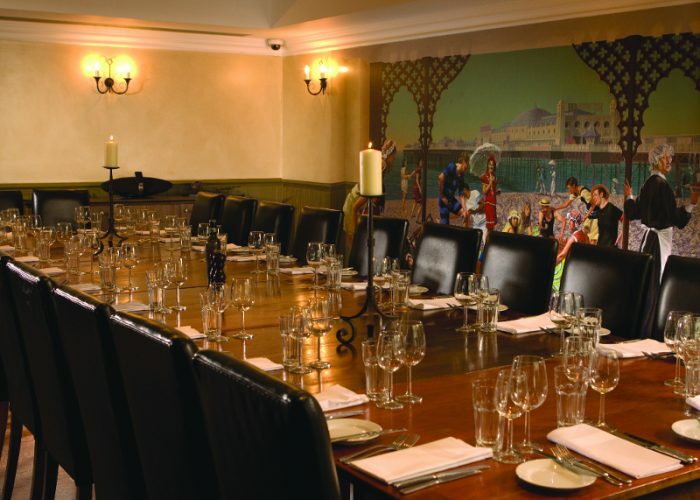 The hotel’s largest room, it can seat up to 84 people for a meal or welcome 120 for a standing reception – so it’s ideal for weddings and dinner parties. In the Ruinart Dining Room, on the ground floor, natural daylight floods into a wonderful space for lunches and dinners for up to 48 people. 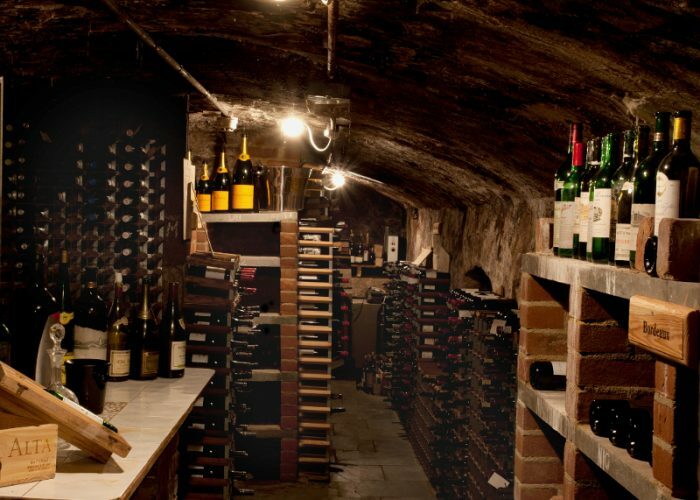 Or, for a more intimate dinner for up to 14 guests, you could choose the Screwpull Wine Cellar, with its low ceiling and pillars. 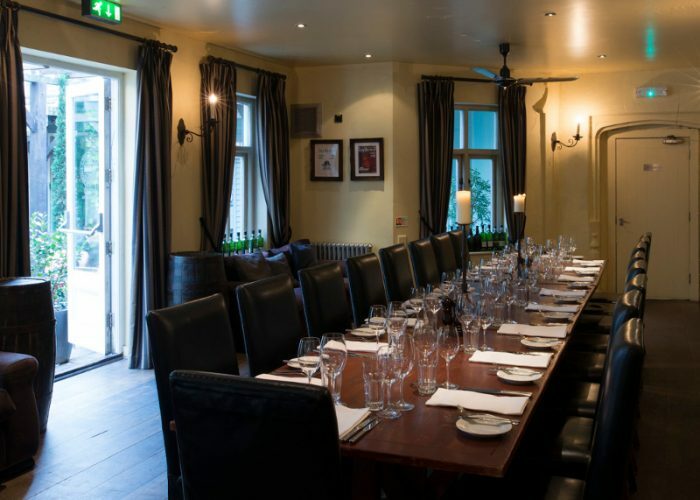 In the Scottish Malt Whisky Snug, up to 22 people can enjoy informal, bright surroundings. 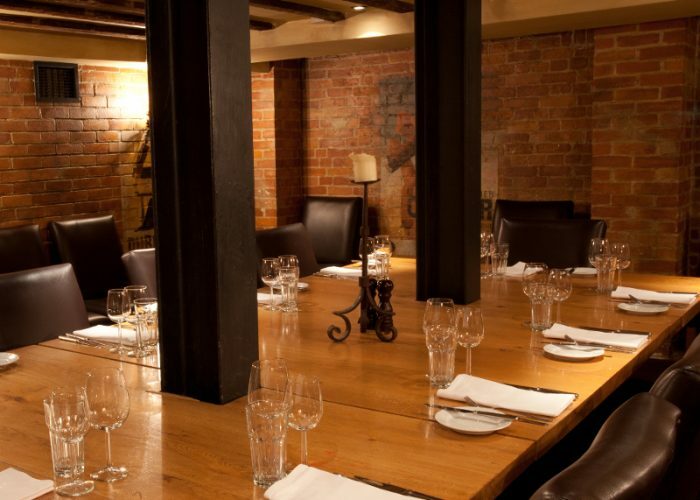 And our smallest private dining room is The Captain’s Table, perfect for up to 10 diners. Guests staying the night have a choice of 49 timelessly styled bedrooms and stunning suites. All feature luxurious handsprung mattresses, fine Egyptian linen, deep baths, powerful drench showers, flat screen TVs and air conditioning.